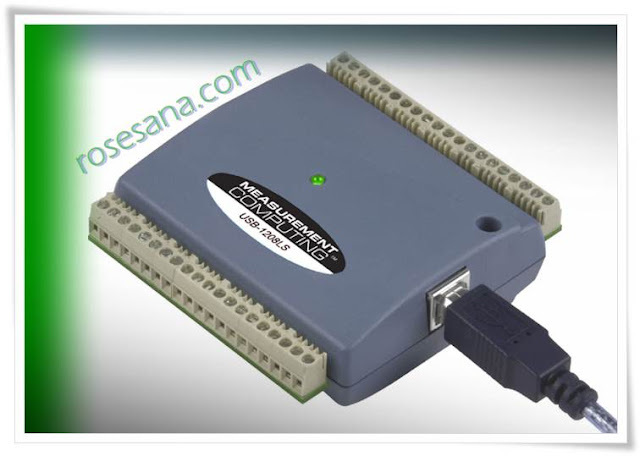 The bus-powered USB-1208LS from Measurement Computing adds a low-cost analog and digital I/O interface to any USB port. Providing eight single-ended or four differential analog inputs with 12-bit resolution, the USB-1208LS offers sample rates up to 1.2 kilosamples/sec (8 kS/s for up to 4000 samples). The USB-1208LS also offers eight software selectable input ranges, making it ideally suited for a wide assortment of measurements. In addition to the analog inputs, the unit provides two 10-bit analog outputs, one 32-bit counter, and 16 digital I/O lines. The USB-1208LS is reliable and rugged enough for any DAQ application. If it weren’t, it wouldn’t come with an industry-best limited lifetime warranty and Harsh Environment Program. The combination of the USB-1208LS and Measurement Computing’s DAQ software suite gives you a complete data acquisition solution that will have you taking measurements in minutes. The device is fully USB plug and play and easy to use. It is powered from the USB port, so no external power connection is ever required. The phyCORE-i.MX31 System on Module (SOM) is designed to plug into a PHYTEC phyCORE-i.MX31 Carrier Board that provides I/O connectors such as DB-9, RJ-45, USB, and power jack, as well as any other interface circuitry not provided on the phyCORE module itself. The phyCORE module is at the core of our Rapid Development Kits. Once programmed, the phyCORE module can be removed from the Carrier Board and inserted like a "big chip" into test beds, prototypes, and production units for OEM deployment, making full use of its modularity and compact form factor. phyCORE-i.MX31 modules are available in a variety of Rapid Development Kits that offer true rapid development solutions by providing all the necessary ingredients to jump start embedded designs. 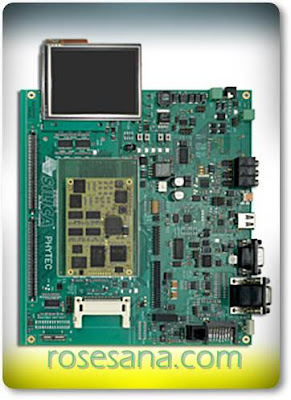 The kits include the phyCORE-i.MX31 SOM and Carrier Board, LCD, pre-installed Windows Embedded CE 6.0 or Linux OS demo image, complete electronic documentation, access to schematics, demo applications, and third party industry-standard C compilers and embedded development environments for evaluation. PHYTEC also backs up our kits with a Start-Up Guarantee. We invite you to make use of our free technical support until any start-up problem you might encounter is solved. 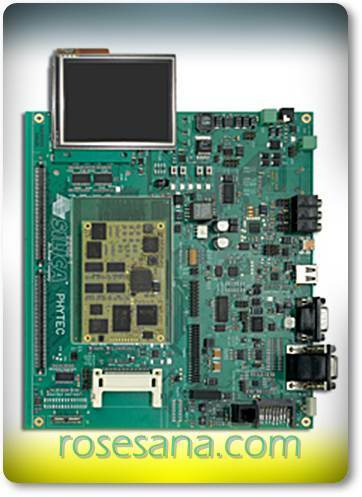 The positive out-of-box experience with the Rapid Development Kit illustrates PHYTEC's continuous commitment to providing customers with effective embedded solutions by offering a hands-on, industry-centric entry point for embedded developments, which is a key starting point for OEMs needing to have a complete solution up and running under very short development time constraints. 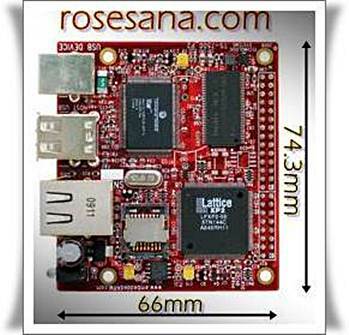 The phyCORE-ARM11/i.MX31 module, combined with the PHYTEC phyCORE-ARM11/i.MX31 Carrier Board, provides an excellent platform to jump start embedded designs and propel concept to prototype and finished product. Power supply input receptacle for unregulated 5V input . 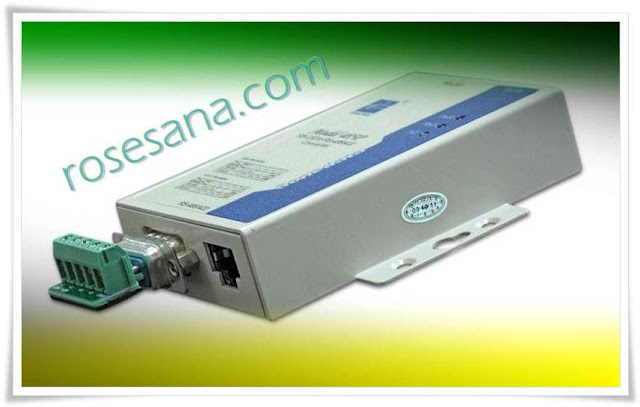 Optical Isolation RS232 to RS485/422 converter, model Model485P by 3onedata. The GOS-620 Analog Oscilloscope delivers the most economic solution for measurement demand with 20MHz bandwidth. Their applications cover a wide range from product designs, assembly lines, repair service, and EE laboratory and class experiments. Featured with a low vertical sensitivity at 1mV/div and useful Auto/Norm Trigger, the GOS-635G & GOS-622G could accurately and faithfully capture small signals. The GOS-635G/622G offer the highest performance over price solution in the Test & Measurement field. This gas-powered robot is built using a Honda 2.5 HP 4-stroke engine and hydraulic power system. It is controlled by a Propeller chip for the ultimate in customizable robots; eight 32-bit cogs at 20 MIPS each create endless programming possibilities. A 64 KB EEPROM leaves 32 KB for non-volatile data storage, and ample expansion ports provide plenty of flexibility for added sensors. Four solenoid valves allow for the hydraulic power to be independently enabled, disabled, or reversed for either side of its skid steer system. 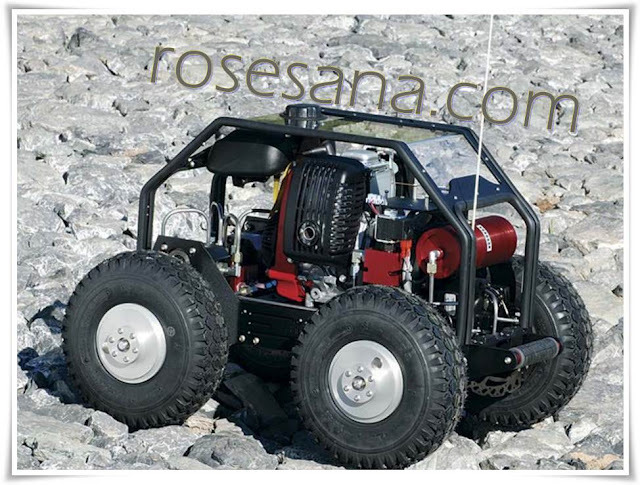 The robot can rotate in position by making a complete hydrostatic turn or by braking one side and making an arc-turn, which can be accomplished at low or high speed. Straight-away top speed is up to 12 miles per hour. QuadRover uses a two-stage pump to provide high-end torque for low speeds and lower torque at higher speeds. This transmission provides a more continuous power band than a single-stage pump system. Servo controlled throttle and disk brakes make for precise acceleration and deceleration. The Propeller QuadRover robot ships fully assembled and ready to program. 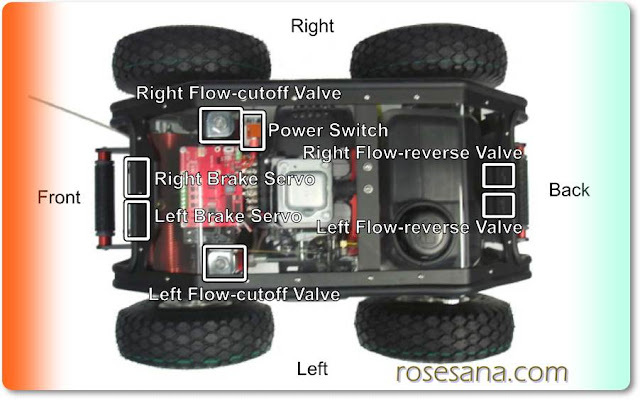 The electronics include a Propeller-powered control board with connections for GPS, compass, and 3-axis accelerometer sensors. A remote is also included. Prior to operation the user needs to add the hydraulic oil and gasoline, load the Propeller program and perform benchtop testing. This process requires up to a full day. Shipping package measures approximately 29”L x 19”H x 23”W inches(73 x 48 x 58 cm). Robot weighs 89 lbs. (shipping weight 135 lbs.). Dry Weight: 89 lbs (40.4 Kilos). The TS-7500 is a ultra-compact embedded computer module based on a 250MHz ARM9 CPU from Cavium Networks. 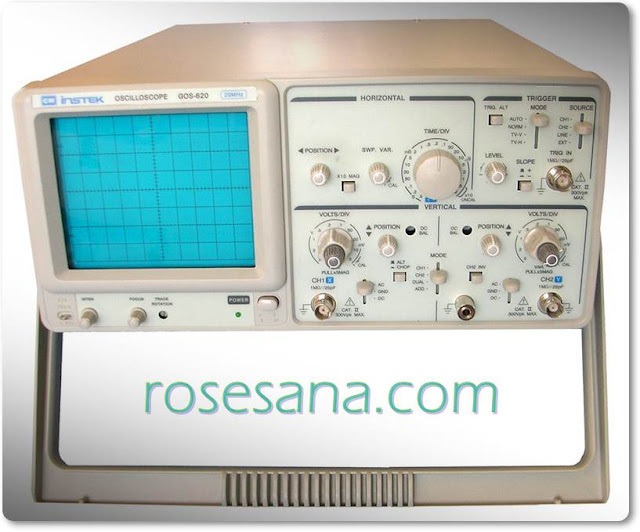 In comparison to the TS-7400, it is less expensive, about half the size and over 50% faster. The TS-7500 offers additional features such as High-Speed USB host and device, micro-SD Card socket and 5K LUT programmable on-board FPGA. The 44-pin header allows an external board to interface with the TS-7500 via DIO lines, SPI, I2C or FPGA cores. 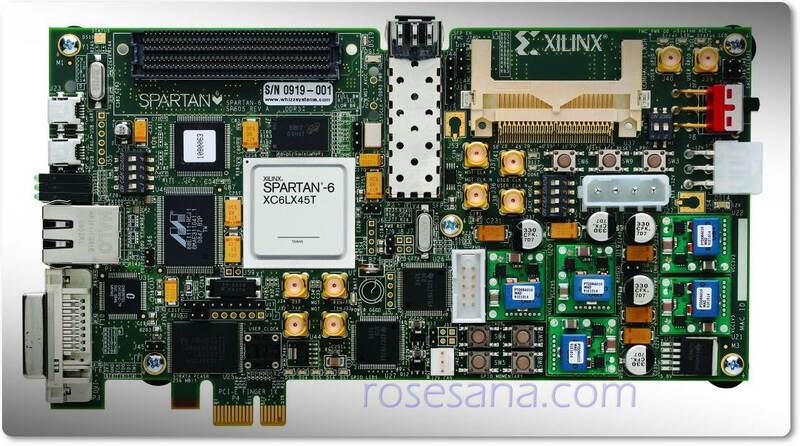 The TS-7500 features a 250MHz Cavium ARM9 CPU and a 5000 LUT Lattice FPGA. With 64MB RAM, a bootable 4MB on-board flash, and a micro SD card slot, the TS-7500 is a powerful and flexible embedded solution. 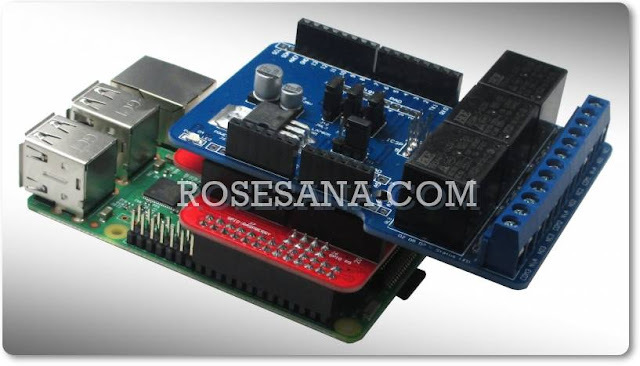 External devices can connect to the TS-7500 via Ethernet, USB host, USB device, or I2C ports as well as DIO, UARTs, and SPI which are implemented in the standard FPGA load. The 44 pin downward-facing general-purpose header makes it easy to interface the TS-7500 with a base board of your own design. Using just under 400mA at 5V, a TS-7500 driven product can be fully powered by a USB device cable. Does your application require custom real-time logic such as non-standard bus interfaces, PWM outputs, quadrature decoding, pulse timing, or digital counters? Technologic Systems can integrate that functionality into a custom TS-7500 FPGA configuration for an elegant and affordable solution. * Technologic Systems XUART core is an extended UART core supporting 7, 8, 9, or 10 bits per character, Tx and Rx FIFOs 256+ characters deep, and accurate measurement of idle and busy times. These ports support advanced protocols such as DMX/RDM. There is also one serial port in the CPU for a total of 9 serial ports. Boots Linux 2.6 out-of-the-box in less than 3 seconds (to a shell prompt). SD card pre-installed with standard Debian Linux distribution (Lenny Arm). Startup Linux mini-root scripts allows flexible root and backup filesystem selection (SD, NFS, USB flash) as well as software field upgrade support. Technologic Systems TS-7500 ARM Single Board Computer (SBC) are compatible with a wide range of Operating Systems (OS's). The Linux choice is highly recommended and our products are totally integrated with the open-source vision. The boards ships with Linux 2.6 Kernel running out-of-the-box. There is no proprietary source code in the kernel since all the hardware specific functionalities are handled by user-space utilities. The Linux kernel includes driver support for on-board hardware, enabling quick time to market of end-users applications. Examples and source codes are also available for downloading. The compact initial ramdisk filesystem is based on Busybox and uClibc and is improved for performance and flexibility. Specific Linux scripts and utilities that handle the TS-7500 functions are included. In addition, the full Debian binaries and services are available from the initial ramdisk after mounting the SD Card. 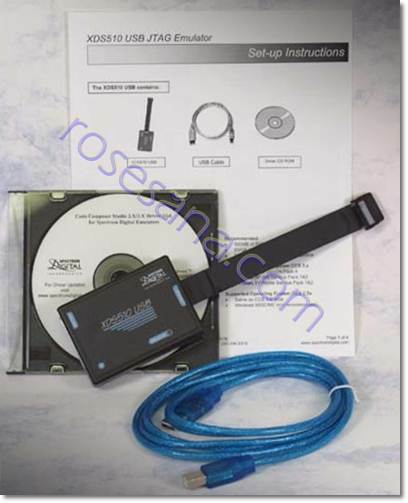 The TS-7500 SBCs are configured to load the Debian Linux OS from the SD Card during boot up time. The full featured Debian Linux (version Lenny Arm) distribution includes a complete GNU C/C++ embedded development environment installed. In addition, Apache Web Server, FTP, SSH, Telnet and Samba network services are available with C/PHP/Perl for embedded CGI development. The Eclipse IDE configured for embedded development with the TS-7000 ARM9 computers running Debian Linux is provided along with the 2GB development SD Card. Technologic Systems makes use of the Eclipse Europa release and the DSDP+CDT plugins in order to provide an advanced IDE and makes embedded development easier. ARM crosstool chains, cygwin runtime-libraries and a Java Development Kit are installed on the card, therefore Eclipse IDE will run out-of-the-box (no need for installation) in your Windows PC. The Eclipse environment is already configured to allow a quick startup with a TS-7000 embedded development. After start-up, the installed 'helloworld' example shows the user how to use the Eclipse functionalities, including cross-compilation, build-management configurations, binary download to the TS-7000 target, target management via SSH, FTP, telnet or serial console, client-server debugging with Eclipse debug view, etc. The Spartan®-6 FPGA SP605 Evaluation Kit delivers all the basic components of hardware, design tools, IP, and reference designs enabling development right out of the box. This kit provides a flexible environment for system design and provides pre-verified reference design and examples on how to leverage features such as high-speed serial transceivers, PCI Express®, DVI, and/or DDR3. 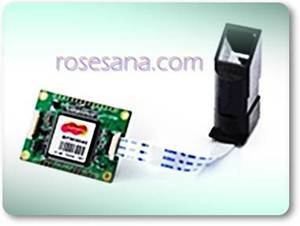 This kit includes an industry-standard FMC (FPGA Mezzanine Card) connector for future scaling and customization to specific applications and markets.